Leading consumer and business travel advocacy organizations, including Air Travel Fairness, the Business Travel Coalition (BTC), The Travel Technology Association (Travel Tech), Travelers United and the European Technology and Travel Services Association (ETTSA), are thanking U.S. 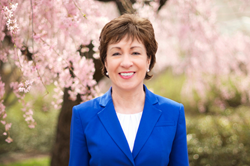 Senator Susan Collins of Maine for her leadership in promoting airfare transparency and competition necessary for travelers to be able to choose from the best airfares and flight schedules, and for a healthy, competitive, free market economy to work. On behalf of millions of American consumers, we thank you for your leadership in support of transparency and competition in the airline industry. In a March 8, 2018 letter to Sen. Collins, the organizations, representing hundreds of thousands of leisure and business travelers, said, "Despite the improving economy and record industry profits, airlines have been aggressively moving to restrict the distribution and display of publicly available fare and schedule information by travel websites." The organizations added, "These changes have made it more difficult for consumers to find comprehensive flight and schedule information and shop for the best flight at the lowest price in a transparent, simple way." Today, travelers face fewer choices from an airline industry that has consolidated into a four mega-carrier oligopoly controlling over 81 percent of U.S. seat capacity, reducing competition and negatively impacting consumers. In Oct. 2016, the U.S. Department of Transportation (DOT) opened a review known as a "Request for Information" (RFI) to explore airline industry practices on distribution and display of fare, schedule and availability information. The RFI details concerns expressed to DOT that the practices are anti-competitive and harmful to consumers. Nearly 60,000 individual consumers and organizations submitted comments, with the overwhelming majority expressing support for action. But in March 2017, DOT suspended the RFI before the deadline to submit comments. A year later, the RFI remains suspended, indefinitely postponing DOT's consideration of consumer concerns. "With no indication from the Department when or if it intends to reopen the RFI and complete its review of public comments, we strongly support your effort in pending legislation to ensure that the Department resumes collecting critical information from all stakeholders," the groups said in their letter to Sen. Collins. "On behalf of millions of American consumers, we thank you for your leadership in support of transparency and competition in the airline industry." A study conducted by Fiona Scott Morton, an economist at the Yale School of Management, and R. Craig Romaine and Spencer Graf of consulting firm Charles River Associates, shows that without easy comparison shopping for airfares and flights, travelers would pay an average $30 more per ticket, $6.7 billion more in airfares annually and travel would become unaffordable for 41 million Americans each year. In survey after survey, including those conducted by the airline industry itself, travelers have said they want to be able to quickly and easily compare all the airlines flying to their destination, and the cost of flying on each of them. Not allowing travelers to compare fares and schedules at the travel resource of their choice forces them to visit multiple websites without knowing if they've seen all available options. It also results in the largest U.S. airlines and big business - rather than consumers and market forces - choosing winners and losers, freeing airlines from having to compete on price, service and quality to win customers' business. In a Feb. 27, 2018 editorial, the Portland Press Herald, one of the leading media outlets in the state of Maine, expressed their support for Sen. Collins' legislation, saying, "The DOT is the only regulatory agency that looks out for air travelers' interests. To make sure we don't pass another year without taking action, Congress should not allow the agency to shirk its duty." In a Dec. 19, 2017 editorial, USA Today said, "…passengers benefit from reliable data from independent sources, making the free market work." Air Travel Fairness, comprised of more than 70,000 travelers, as well as consumer and business organizations, believes increased, genuine transparency is good for American families, good for the economy and good for competition. For more information, visit http://www.airtravelfairness.org or visit us on Facebook at https://www.facebook.com/AirFairness/.